These types of chores keep your home from deteriorating over time. Buyers want a healthy, solid, safe home, and they look carefully for signs of routine maintenance. Buyers want to be sure they are investing in a well-cared-for home. 2. Remodel the kitchen. Most people consider the kitchen to be the heart of the home, and because of this, updates in this room pay off. 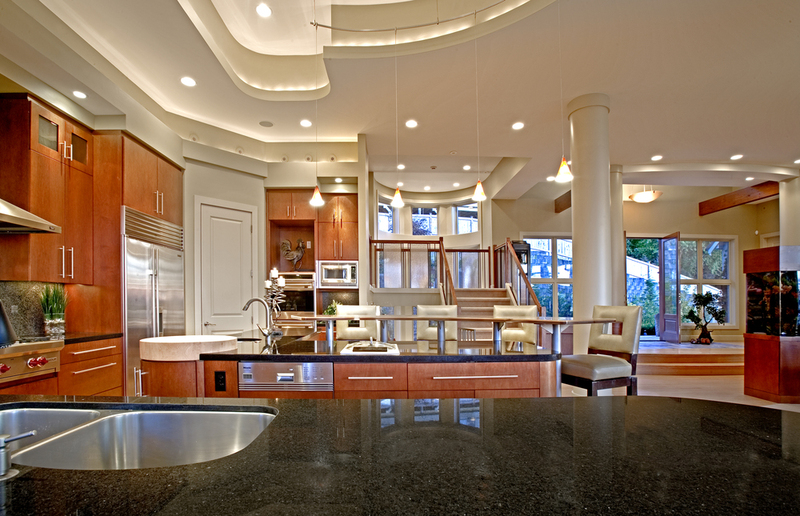 In general, you can expect to recoup 60%-100% of your investment on a Seattle kitchen remodel, as long as you don’t go overboard. Take care that you don’t make your kitchen fancier than the rest of the house, or the neighborhood. If you overindulge in deluxe amenities that don’t fit the rest of the house, you will likely not get that money back when it comes time to sell. But, amenities like energy-efficient appliances are a great investment and can go a long way to increase your home’s value. 3. Add a bathroom. If your home only has one bathroom, you can recoup a large chunk of your investment by adding another one. It is estimated that you can recoup 80%-130% of whatever you spend adding a bathroom. When it comes to finding room in your house for an extra bathroom, take a look at any underutilized spaces. Consider spaces such as closets or areas under the stairs. Keep in mind, if you want a half-bath you need at least 18 square feet. If you want a full bath, including a stand-up shower, you need at least 30 square feet. If you want a bathtub, make sure you have at least 35 square feet to work with for a bathroom addition. Like any project, the cost of adding a bathroom depends largely on the types of additions and accessories you want to use, and the cost of each of these items. 4. Reinvent a room. Many homeowners want more room, but adding more square footage to a home can be an incredibly expensive project. Instead of adding square footage, consider using existing space to reinvent a room. Reinventing existing space in your home can save you money, but its also a way for you to customize your space to suit your family’s needs in a unique way. Finishing a basement or converting the attic to a bedroom are commonly done. Many homeowners can also add small apartments in, or over, their garages – which they can then choose to live in, or rent out. Versatile rooms have greater appeal to potential buyers. Basements frequently work well as second living rooms, or game rooms. Many people also turn this space into a small apartment for an aging relative or a tenant. Attic spaces often work well for craft rooms and game rooms, especially if they have high ceilings. If you have kids, you can add swings to the rafters, and create a cool play room just for them. 5. Add a deck. Adding a deck increases the value of your home. 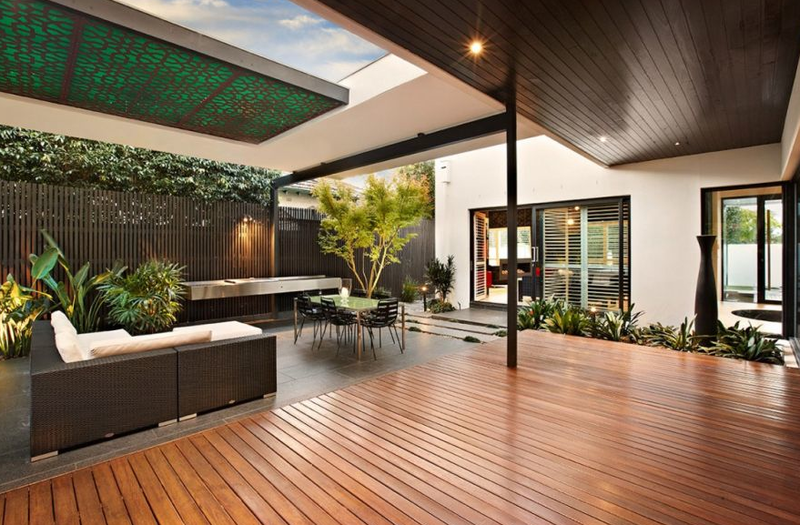 Outdoor living spaces have become very desirable. If you make your deck and your backyard more appealing, your house will be more appealing to prospective buyers when you decide to sell. The cost of adding a deck to your home varies widely. Everything depends on its size, and how many bells and whistles you want added, like built-in seating, multiple stairs, built-in flower pots, and the size of the deck. Like any house remodel or home improvement, the cost depends largely on the design and materials used, but homeowners should expect to recoup much of their investment when it comes time to sell. No matter what part of your home you are working on, be sure to completely vet your options when looking for help on the project from a contractor. This entry was posted in Uncategorized and tagged home remodel ideas, remodel ideas to increase home value, remodeling ideas on March 17, 2014 by Seattle Kitchen & Bath Remodel Blog.